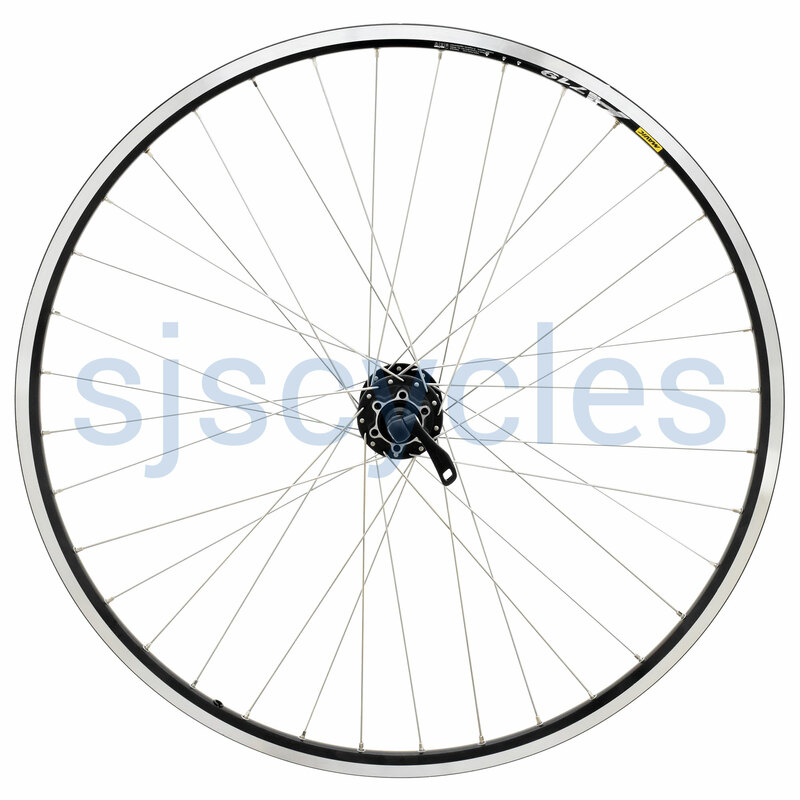 700c, 622 Front wheel 36h Mavic A719 Rim - black with Shimano Deore 6-bolt disc hub - black. Handbuilt by our Master wheelbuilder from DT Competition 286/288 mm stainless spokes. 100mm OLN. Featuring the most renown Mavic technologies, A719 is the benchmark rim for the trekking and tour market (All Road). SUP welded, wide, UB Control machined braking surface, its endurance enables to accumulate kilometres in the roughest road conditions.